AFHU congratulates Oberland, our creative agency, on receiving Ad Age’s prestigious Small Agency of the Year award (Gold, 11-75 employees). The work they have done on our behalf was recognized as one of the industry’s most outstanding and witty campaigns this year. See below for the full article on this well-deserved achievement. This social advocacy-focused firm creates top-notch work for clients including the Nature Conservancy, the Leukemia & Lymphoma Society and the National Alliance on Mental Illness. One of Oberland’s cleverest projects last year was “Bubbe’s Apps” for the American Friends of the Hebrew University. 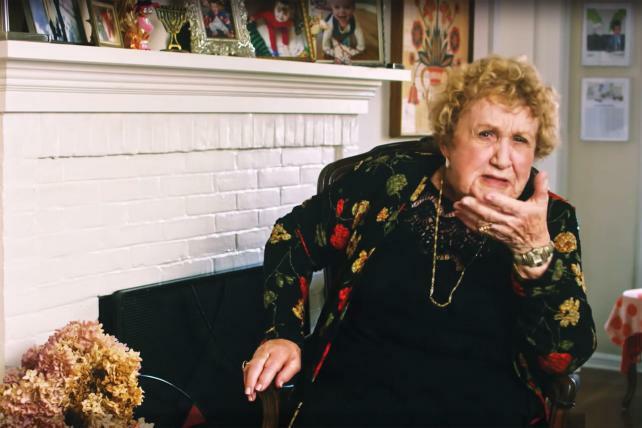 To help grow and diversify the charity’s donor base, Oberland created a series of commercials centered around a spunky Jewish grandma, Bubbe, who creates her own apps to connect with her loved ones. Pointedly reminding her family to call (“What if somebody kidnapped me? Would you even know where to send the money? !”) and more, Bubbe’s demands took off on social media, bringing revitalized attention, and donations, the shop says, to AFHU. Founders Bill Oberlander and Drew Train in July are reincorporating the 20-person agency as Public Benefit Corporation—a first for the ad industry.